Reluctant writers are children who struggle to get their ideas onto paper. There are many reasons why children are reluctant writers- writing takes too long and the child has to think of so many different things just to write one sentence (they need to form the sentence correctly, start with a capital, form each letter properly add interesting vocabulary and adjectives and finish with a full stop). Some children are perfectionists and can’t handle not being able to spell a word properly. Some children struggle to come up with good ideas or forget their sentence before they have a chance to write it down. Every morning, I let the children answer a question on their whiteboards. This could be – write about your weekend, what you did yesterday evening, your favourite toy, adjectives to describe a picture etc. The children loved writing on whiteboards- mistakes could be fixed easily and they got to write about things they were really interested in! 4/5 children then shared their writing with the rest of the class. This idea is based around pie Corbett and talk for writing. Children use a new copy. Give the children a topic e.g. Setting, characters, adjectives to describe things/people, similes etc. And 5 mins to write as many as they can think of. Children then share their ideas with the rest of the class. Others can ‘magpie’ their ideas. Within a few days children have built up their own writing resource. 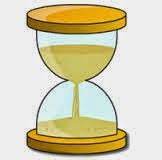 Use a timer – I think you could do 3 more sentences by the time the sand has run out! Count the words/sentences- wow you have written 6 today- I wonder could you do 8 tomorrow?